Fila Mesh Racer Women's Tennis Tank Item # TW191755347 $60.00 Be The First To Review! 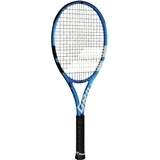 Fila Mesh Racer Women's Tennis Tank Item # TW191755441 $60.00 Be The First To Review! Fila Cap Sleeve Women's Tennis Top Item # TW191752441 $56.00 Be The First To Review! Fila Colorblocked Women's Tennis Skirt Item # TW191761100 $60.00 Be The First To Review! 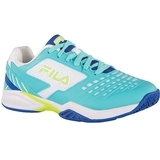 Fila Axilus 2 Energized Women's Tennis Shoe Item # 5TM00579-422 $110.00 Be The First To Review! 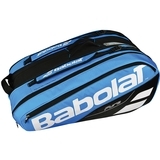 Babolat Pure 12 Pack Tennis Bag Item # 751169136 $109.95 Be The First To Review! Fila Stripe Trim Women's Tennis Tank Item # TW191747100 $60.00 $45.00 Be The First To Review! Fila Ruffle Racerback Women's Tennis Tank Item # TW191741678 $60.00 $45.00 Be The First To Review! Fila Stripe Women's Tennis Skirt Item # TW191737001 $60.00 $45.00 Be The First To Review! Fila Ruffle Women's Tennis Skirt Item # TW191739100 $60.00 $45.00 Be The First To Review! Fila Stripe Women's Tennis Dress Item # TW191749678 $85.00 $63.75 Be The First To Review! 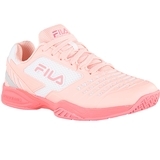 Fila Axilus 2 Energized Women's Tennis Shoe Item # 5TM00579-661 $110.00 Be The First To Review!